hand rendered type | STOP. LOOK. LISTEN. As a designer of brand experiences, I am crazy-go-nuts about checking out interesting environments. 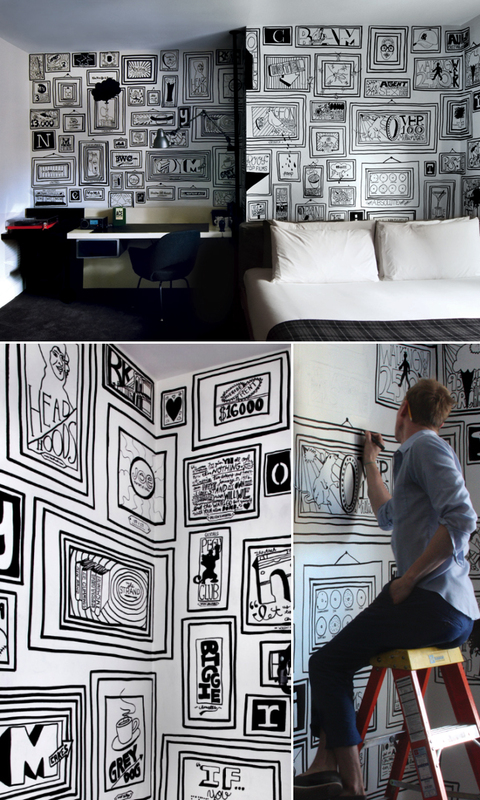 Based on several recommendations from friends and this sensational, hand-drawn wall mural by Timothy Goodman, I’m mandating a stay at the Ace Hotel on my next trip to NYC. 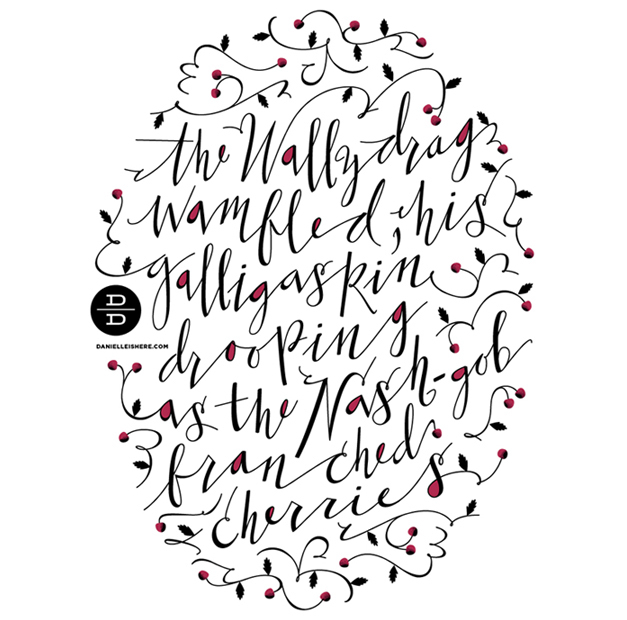 Completely charmed by this playful bit of hand drawn type by Danielle Davis. 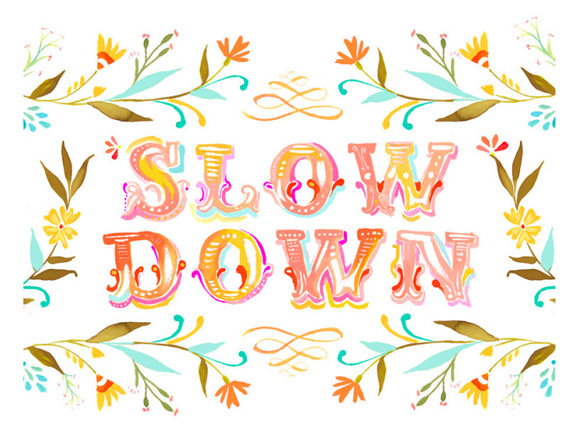 She’s thinking about setting it in letterpress or silkscreen — yes, please! Posted on 05/31/2010 | Comments Off on Nice Package! 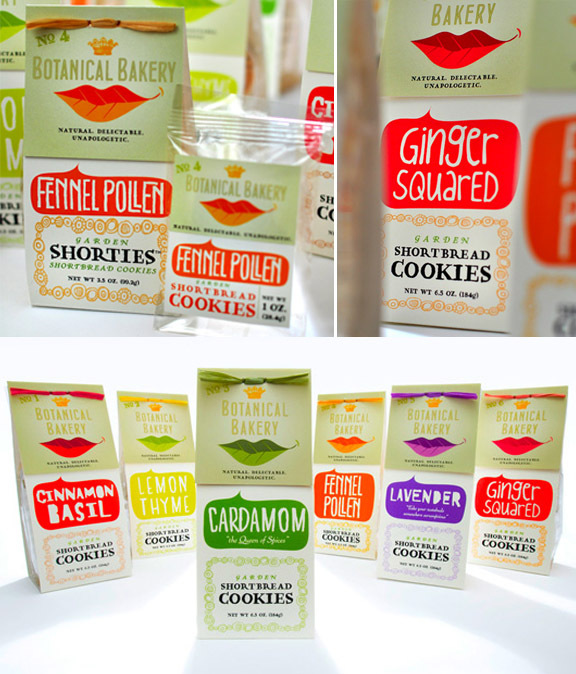 This cheeky packaging for Botanical Bakery uses clever illustration to suggest tempting and unusually flavored cookies. If I saw them in the grocer’s, I would have to grab one or two. Comments Off on Nice Package! It’s going to be a warm Sunday and my plan is to follow Katie Daisy‘s advice — lazily spend the afternoon lounging in the shade, sipping icy beverages and reading. Welcome to a shared inspiration journal of personal ramblings, found objects, happy accidents, and other design tidbits.